3 Awesome New Isagenix Products for You to Enjoy! Are you ready to take the dive into a plant-based nutrition system? Now is the perfect time! For 16 years, Isagenix has been a pioneer in the world of health and wellness and they continue to push forward with new supplements, cutting edge formulations, and state-of-the-art production methods. Recently, several exciting updates have the Isagenix community buzzing! Read on to learn about the most recent advancements, starting with a mouthwatering new IsaLean Bar flavour! Not quite feeling like yourself lately? With 8 grams of filling fibre, healthy carbohydrates for energy, and 19 grams of high-quality protein from peas and brown rice, these nutrient dense bars can help you bounce back! Who knew this much nutrition could be packed into a completely plant-based bar? If you are not dairy-free or peanut butter obsessed, no worries! All you need to enjoy these new IsaLean bars is a craving for a tasty treat that is still healthy. 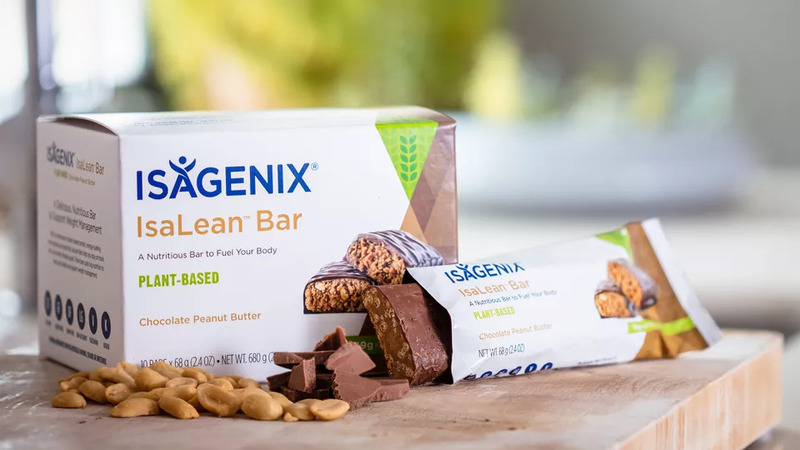 Experience the delights and results of plant-based nutrition by incorporating the new Chocolate Peanut Butter Bar into your health and wellness routine. And while you are at it, consider giving the rest of Isagenix’s delicious, powerful, effective plant-based product a try! Who says you need to wait for dessert to enjoy a treat? Not Isagenix! What is creamy, mouthwatering, and unbelievably delicious? 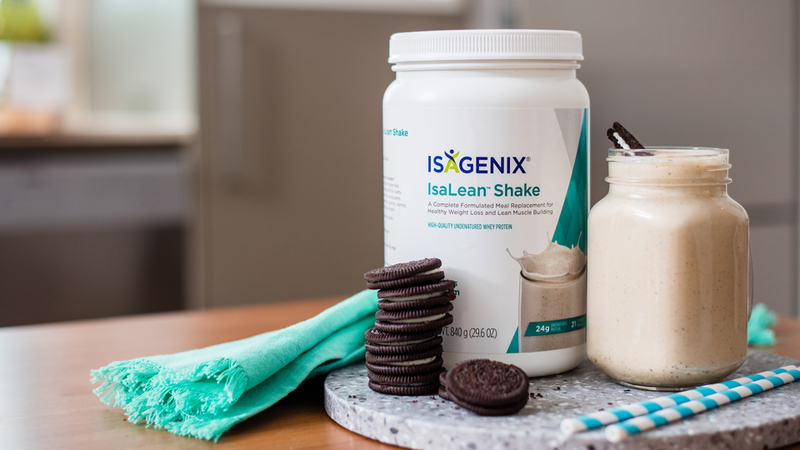 The new limited edition IsaLean Shake — Cookies and Cream! This crave-worthy mix of creamy vanilla paired with crunchy chocolate bites has been flying off the shelves since its introduction! With 21 vitamins and minerals, 24 grams of high-quality, undenatured whey and milk protein, this delicious shake will satisfy your cravings and nourish your body. Consider the release of this can’t-miss flavour a thank you for helping us create the biggest New Zealand and Australia event in Isagenix’s history! If you are among the many individuals that attended the ANZ Celebration, we extend a big “Thank You” for all your support. Is there anything more fun than discovering a new shake combination? We don’t think so! At Isagenix, we especially love our customers’ enthusiasm and creativity when it comes to our IsaLean Shakes. We know our customers need the best tools around to create their exciting new shake combos and that is why we developed the new and improved IsaBlender! This blender features a high-powered motor, easy cleanup, easy assembly, and compact design. It doesn’t get any better than that! Additionally, this powerful blender now features the ability to integrate with your IsaShaker. It also comes with a shaker ball, an easy to clean blade, and two cups with lids. 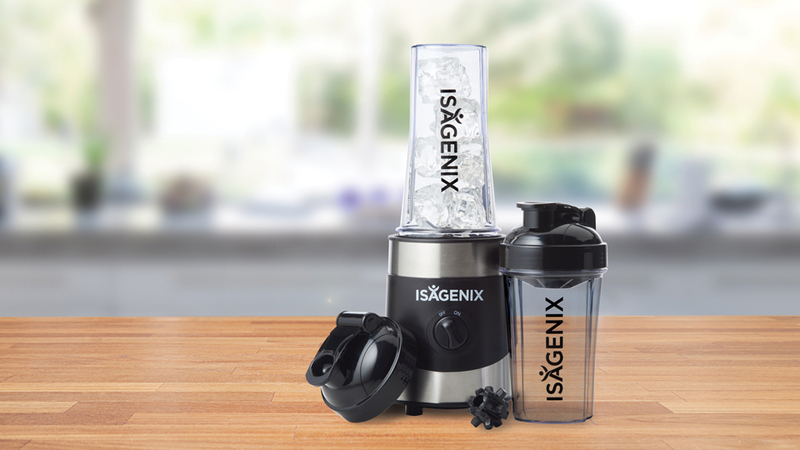 Get your hands on the updated IsaBlender as soon as possible so you can wow us and the rest of the Isagenix community with your latest shake creations.